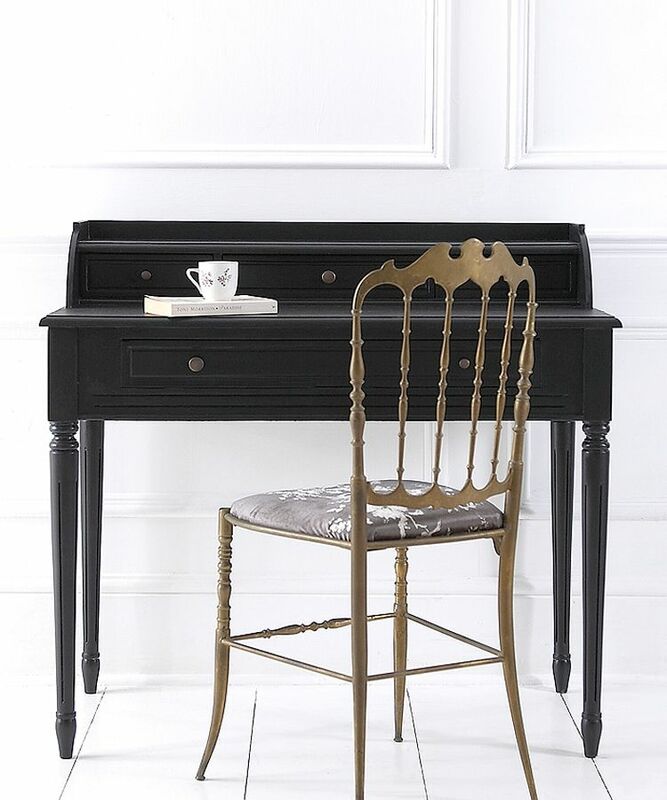 Our handpainted French House writing desk/dressing table has fluted legs and aged bronze button knobs, with three small drawers and one large. 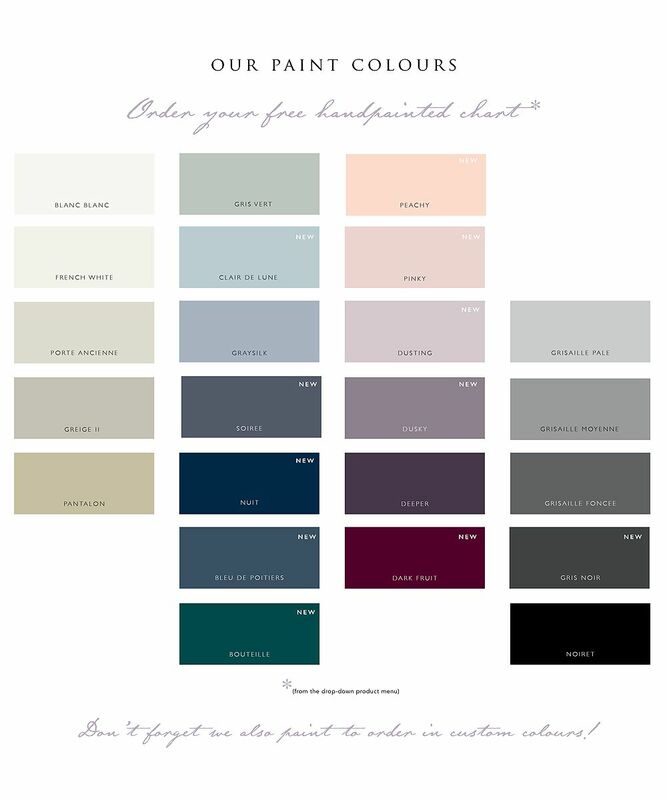 It can be painted to order in a choice of 23 colours - please select your choice from the drop-down menu below. Dimensions: 93h x 100w x 50d cm. Example shown painted in Noiret.